I use it as a safety pin of an agricultural machine working machine. It was a good idea not to be too hard and not too soft. This review is about item#7611405. Used as a mandrel for wheel mounting. In the nearby material shop, a length of 120 mm could not be found, Many types of materials are very useful. This review is about item#7611651. There was not in the nearby home center, so it was saved. This review is about item#7611554. This review is about item#07611362. There was a thing that the thread was damaged and it was hard. This review is about item#07611344. Last time orders were good in a box, but this time it can not be used unless they are covered with oil and wiped with oil. Is it really unichrome? This review is about item#07611432. The thread is rough. Even if the nut is turned by hand, it will stop soon and you will have to turn it with a tool from there. This review is about item#07611371. I wrote half screws, but the threaded portion was half not delivered. The meaning of the home center bolt and half screw is different. 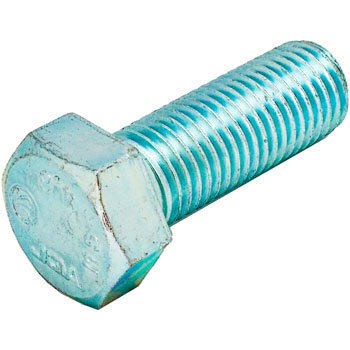 I'd like you to fill out the dimensions of the S part properly, but it does not become usable, I will lose the time and money to return it, although I am writing a drawing of the bolt. This review is about item#07611511. It was a good item than I imagined. This review is about item#07611414.